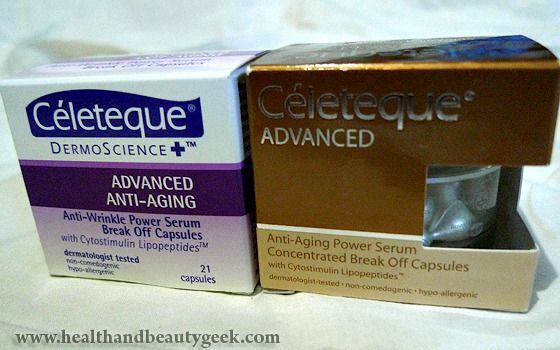 Celeteque Dermoscience Anti-wrinkle Power Serum Break Off Capsules - a review | Badudets Everything Nice! I started using anti-aging products when I turned 30. Prevention is always better than cure, right? To start off, I started looking for an eye cream because I learned that wrinkles start to show at the eye area. 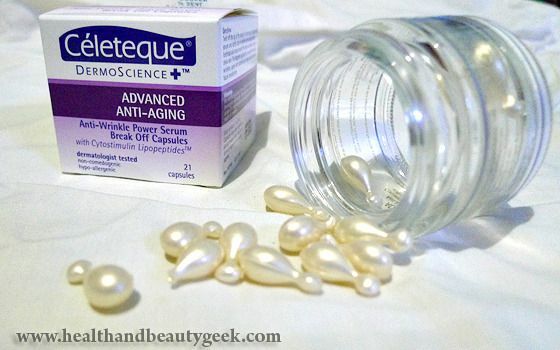 I still haven’t found a good eye cream to use, fortunately, I was sent some Celeteque products last year and one of them is the Anti-wrinkle Power Serum Break-off capsules. The gold box is the old packaging while the purple/white box is the new packaging. The formulation is still the same. I’m on the last few capsules, luckily, I got this new one which was included in the Celeteque swag bag from the Celeteque Dermoscience bloggers event I attended. 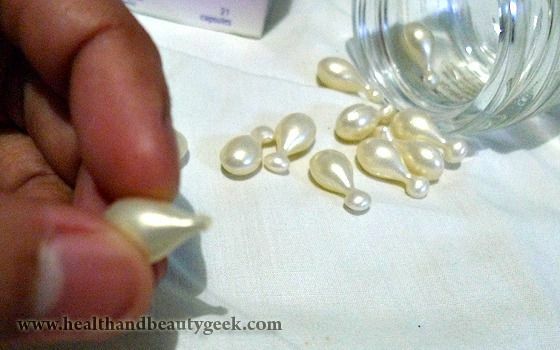 Squeeze a small amount and apply under your eyes and also at the sides. I also apply it to my laugh lines and my forehead. I use one capsule for 2 or 3 applications before opening another one. I’ve been using this for about 6 months already and I’m not really sure how to gauge if it’s effective or not since I’m using it for preventing the appearance of wrinkles. But I guess it’s really working because when I went for a skin analysis at the Celeteque event, it says that my skin showed no signs of wrinkles despite my age. My skin is younger than my age, hooray! The serum is non-sticky and not oily at all. 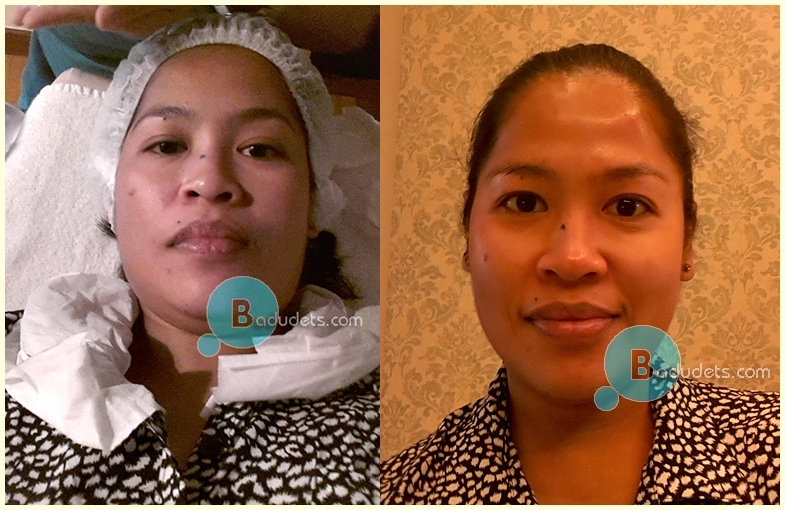 My skin feels smooth after application. 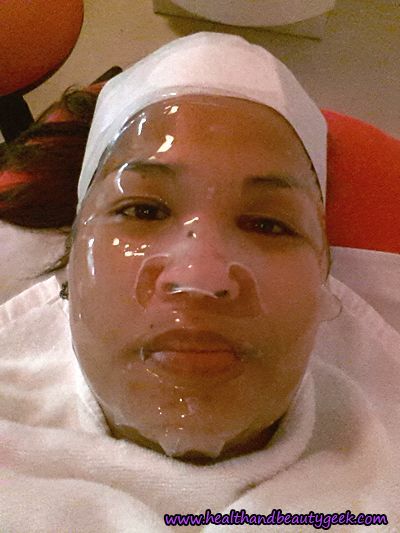 No allergic reactions on my combination face (oily & dry). Positive results, it works, yeah! Lasts long. I only need a small amount. Perhaps my only pet peeve is the capsules itself. Twisting the capsules takes some time and I have to repeat it once the other capsule is empty. I hope they can put the serum in a pump bottle or a jar. But I don’t know if there’s a purpose for those capsules, anybody knows? 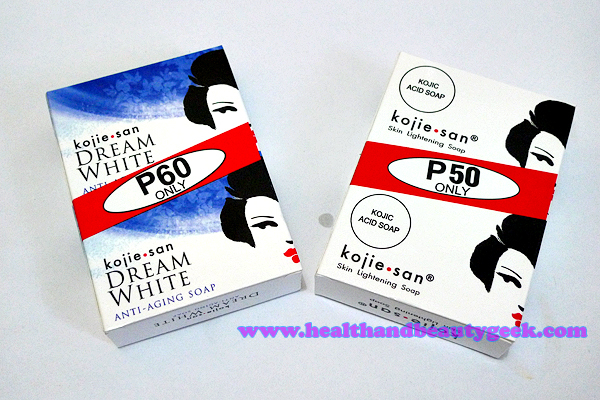 Celeteque Dermoscience Anti-wrinkle Power Serum Break Off Capsules is sold at Php 699 per box. i’m hitting my 30 so i’m really curious in any anti-aging products. i have anti-wrinkle ultra-hydrating cleansing oil from celeteque too, one of my winnings. i will use it na nga. hehe! how much is this? Hi Michi, it’s Php 599. 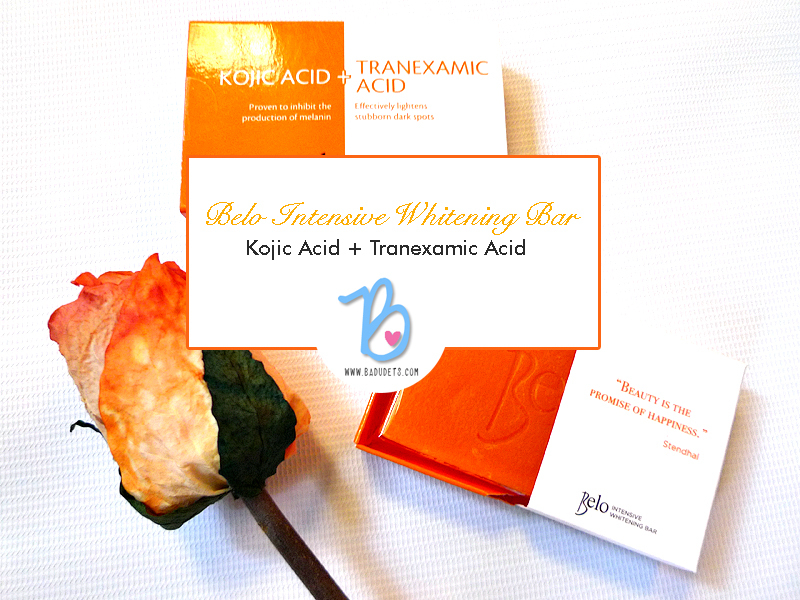 Their serum is really one of the best, and I still use it to this day since I tried it last year! 😉 Sayang I missed this event. Gusto ko yan i-try, Prob ko kasi ang lines at lalim under my eyes. 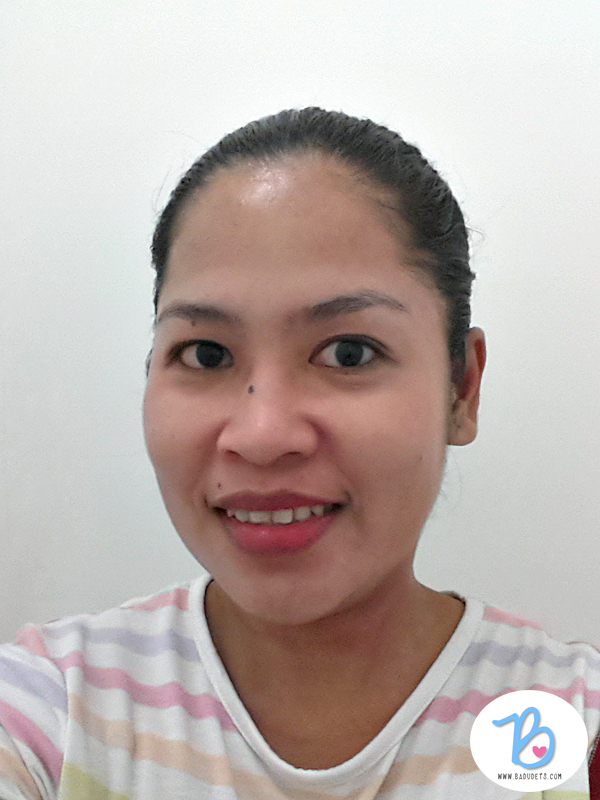 I’m using Mary Kay concealer but I think it doesn’t work, ang mahal pa hehe! Oo nga, this one is Php 599 lang. 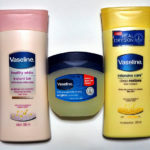 Seems like a lot of people are vouching for this product. I’m tempted to give it a try. I’m not sure too what the capsule form is for if it’s a serum anyway. 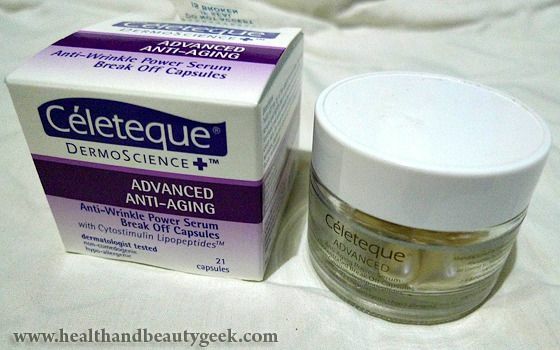 I have heard many good feed backs about Celeteque products and I think Celeteque Dermoscience Anti-wrinkle Power Serum Break Off Capsules is also good to try.